MOUNTAIN VIEW, Calif. (Astrobotic/SETI Institute PR) – The SETI Institute and Astrobotic Technology, Inc. are announcing the successful mapping in 3D of the interior of an ice-rich lava tube in Iceland using a LiDAR-equipped drone. The team was investigating the Lofthellir Lava Tube Ice Cave in the remote Myvatn region of Iceland, and used the drone to document the lava tube’s shape and extent, history of rock falls, and spectacular ice formations. 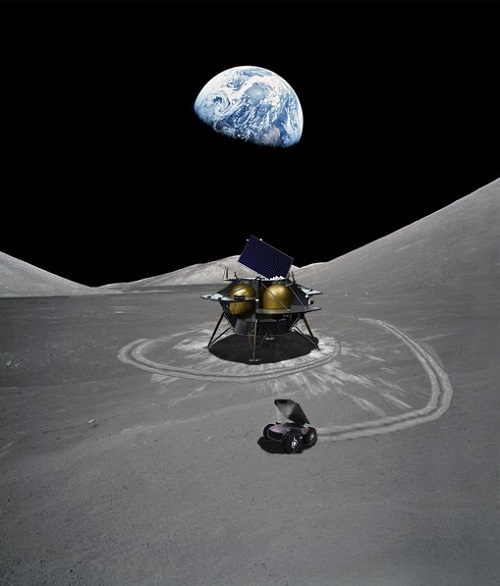 PITTSBURGH (Astrobotic PR) – Astrobotic, a lunar logistics company that is making space accessible to the world, announces the selection of Jeffrey Apeldoorn as its Vice President of Future Missions and Technology. In this role, Apeldoorn will lead the Future Missions and Technology department and join the Leadership Team of the company. 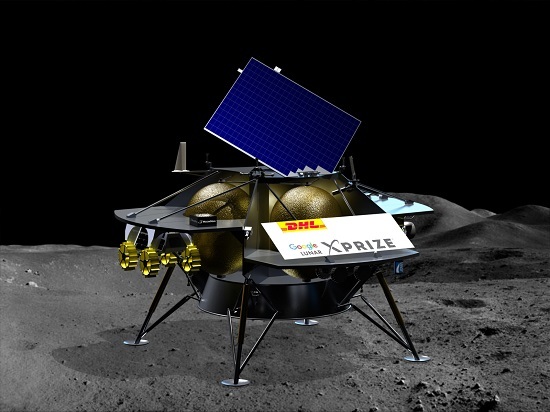 This selection comes after Astrobotic was competitively chosen by NASA as one of the providers for its $2.6 billion Commercial Lunar Payload Services (CLPS) program. 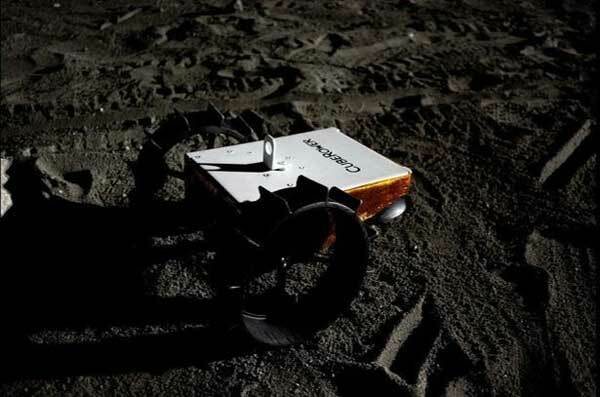 Through CLPS, Astrobotic will be a 10-year provider of lunar delivery services for NASA payloads. Previously, Apeldoorn served as the Vice President of Corporate Affairs at OHB SE in Bremen, Germany. 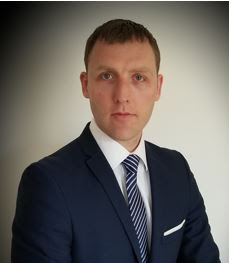 His work included support of the OHB Group’s 2019+ strategy, strengthening of the Group’s capabilities and competitiveness, and investigating expansion possibilities of the Group. PITTSBURGH (Astrobotic PR) – Today Astrobotic announced a program to study advanced navigation techniques that could allow the next generation of spacecraft to target landings at some of the most interesting scientific destinations in the solar system. 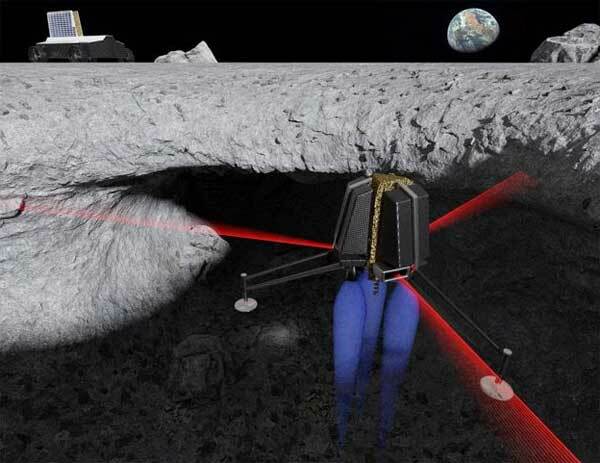 BREMEN, Germany, October 4, 2014 (Astrobotic PR) — Agencia Espacial Civil Ecuatoriana (EXA), and Agencia Espacial de Colombia (AEC) proudly announce at the 69th International Astronautical Congress their intent to sign a joint agreement with Astrobotic on October 5th to begin a lunar exploration campaign across multiple Peregrine lunar lander missions. PITTSBURGH, Pa. (Astrobotic PR) – As America prepares to return to the surface of the Moon, Astrobotic Technology is partnering with scientists from the RIS4E node of NASA’s Solar System Exploration Research Virtual Institute (SSERVI), led by Stony Brook University, to demonstrate the robotic technologies needed to explore and study our nearest neighbor’s most interesting and challenging destinations. WASHINGTON (NASA PR) — NASA is partnering with six U.S. companies to develop 10 “tipping point” technologies that have the potential to significantly benefit the commercial space economy and future NASA missions, including lunar lander and deep space rocket engine technologies. Pittsburgh, Pa. (Astrobotic PR) – Astrobotic Technology Inc., announces $250,000 in new contract awards through NASA’s Small Business Innovation Research (SBIR) and Small Business Technology Transfer (STTR) programs. 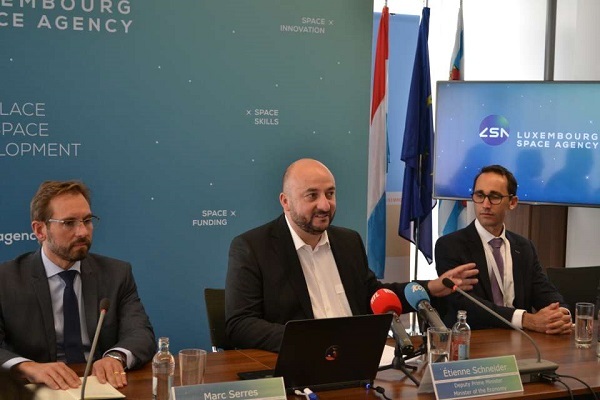 These two contracts, which were awarded to the company’s Future Missions and Technology (FM&T) department, will help the company develop novel technologies and strategies for the exploration of space and planetary surfaces. 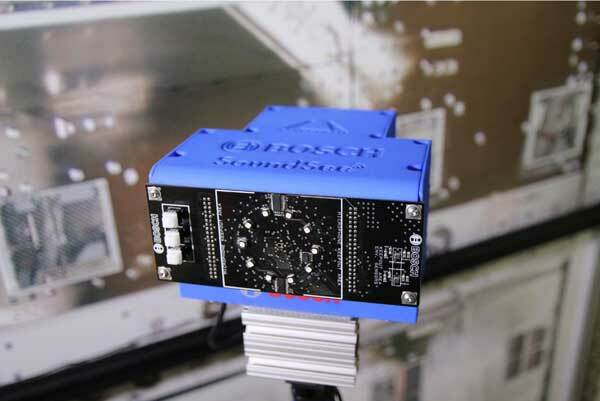 Through an SBIR contract, “Software Defined Reliability for Low Cost Digital Signal Processors on Small Spacecraft” FM&T will address the needs of the growing space computing market for the next wave of robotic spaceflight customers with Astrobotic’s proprietary “Software Defined Reliability” (ASDR) technology. 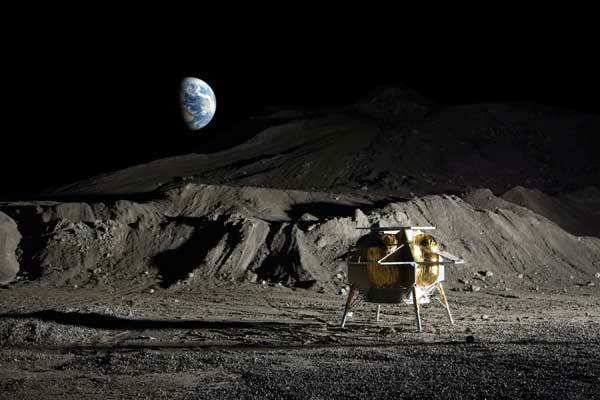 PITTSBURGH, Pa. (Astrobotic PR)– Astrobotic proudly announces today during the 49th anniversary week of the historic Apollo 11 Moon landing that the company has selected Dynetics of Huntsville, Alabama as the propulsion provider for its Peregrine Lunar Lander. Peregrine will return America to the Moon for the first time since Apollo and begin delivering customer payloads once a year starting in 2020. 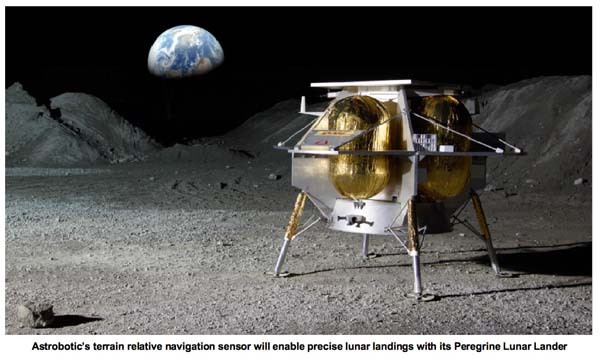 Dynetics will integrate Peregrine’s main engines and attitude control thrusters, controller electronics, tanks, and feed system into a single system that performs all propulsive maneuvers from cruise to soft landing on the Moon. Astrobotic Technology and Carnegie Mellon University will develop methods that will allow planetary rovers to work together to explore the surface of other worlds under a NASA contract. The space agency selected a proposal by the partners for funding under the Small Business Technology Transfer Research (STTR) program. The 13-month contract is worth a maximum of $125,000.